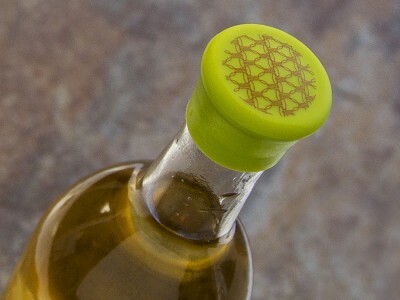 CapaBunga is an airtight, silicone cap that reseals an open bottle of wine. No more wrestling with swollen corks, just pop on the reusable cap and store the open bottle on its side or in the fridge door. The idea for CapaBunga® came from husband and wife team Walt Averill and Maire Murphy. Vintners in Sonoma and Napa, they invented CapaBunga® as a new alternative cap for their own wine, Rua. It was designed to resemble the bungs used to seal barrels at wineries. They chose food grade silicone material that securely, yet easily, slips on and off a bottle neck, keeping air out and liquid in. In fact, the caps are so tight, bottles can even rest on their side or upside down without any leaking. So, pour a healthy glass, or two, then seal that bottle up for future use with a CapaBunga . . . Cheers! 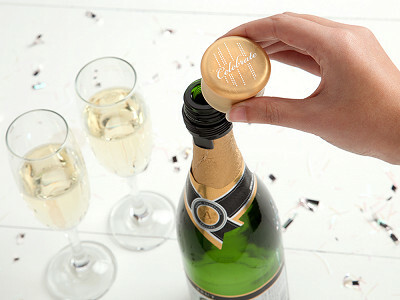 CapaBubbles lets you reseal sparkling wine or champagne, preserving its fizz for up to a week. 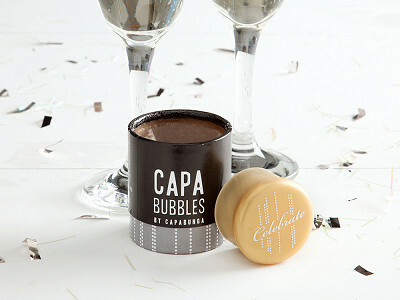 CapaBunga is an airtight, silicone cap that reseals an open bottle of wine. 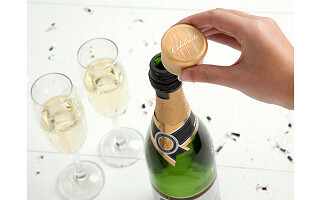 No more wrestling with swollen corks, just pop on the reusable cap and store the open bottle on its side or in the fridge door. 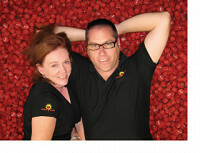 The idea for CapaBunga® came from husband and wife team Walt Averill and Maire Murphy. Vintners in Sonoma and Napa, they invented CapaBunga® as a new alternative cap for their own wine, Rua. It was designed to resemble the bungs used to seal barrels at wineries. They chose food grade silicone material that securely, yet easily, slips on and off a bottle neck, keeping air out and liquid in. In fact, the caps are so tight, bottles can even rest on their side or upside down without any leaking.